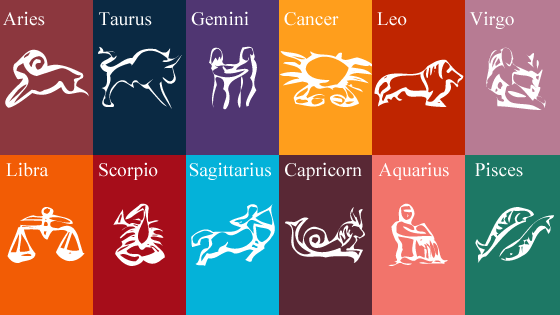 With the weekly horoscope for March 2, 2015 to March 8, 2015, you will get to know how this week is going to be. Read your ascendant sign based predictions written by ‘’Pt. Deepak Dubey’’ and discover your future possibilities for this week. Note: These predictions are based on your ascendant sign. Know Your Ascendant Sign Now! This week is going to be average for your income, but sudden and some big expenses are likely to occur. All kinds of disputes will end up in your favor and enemies will also not be able to stand in front of you. Courage will increase a lot. People associated with state and government will get success. This week is also going to be great for matters related to domestic life, especially the first half part. Stay cautious about your health and while travelling. Married life will be great and unmarrieds are likely to get into a romantic affair. Remedy/ Treatment: Control your anger and impulse. Make donations for Mars and chant Beej-Mantras of Mars. This week is looking great for businessmen. Income is likely to come from more than one sources and some new business contracts may also develop. Luck will support, but only for good deeds, due to the effect of Jupiter, so don’t try your luck in gambling-lottery or in any illegal work. Journeys will remain enjoyable and beneficial. This week is going to be good for work and business, but is a bit difficult for getting domestic pleasures. Problems are possible from children and situation of planets is also not auspicious for pregnant women. Remedy/ Treatment: If a newborn is ready to come to your home, go for pacification of Rahu-Ketu, also make donations for pacifying them. Participants of competitive exams are advised to worship Maa Saraswati. This week seems great for financial matters, especially if Dasha (period) or Antar-Dasha (sub-period) of Jupiter, Moon or Venus is there. You will get a lot of respect in society. This will be an extremely good week for people associated with media, glamour, social works, politics and education etc. But, it would either be normal or a bit difficult for personal and domestic matters. Health problem is possible to your mother or any elder lady of your family. Stay cautious about your health, otherwise seasonal problems may trouble you. Remedy/ Treatment: Perform pacification of Rahu. Avoid addiction while travelling. It seems that luck is with you, but either it will not support or support after doing a lot of efforts. This week is demanding a great amount of effort from examinees, otherwise success will turn into failure. Your respect will increase greatly and courage will also remain more than necessary. Take care not to turn this power in a negative direction. Planets are indicating that any good news is likely to arrive at home. Avoid arguments and stay cautious from your subordinates. Remedy/ Treatment: Control your impulse. Don’t make any quick decision and offer water to Moon regularly. Luck is not supporting at all. Although money is likely to come in a great amount, but it may not end well. You are advised not to do anything in greed or by using any incorrect medium, as it may put into a difficult situation. Take special care of your health. Chances of losses are there from accident, injury, explosives, fire or electricity. Avoid arguments. Don’t start anything new and also don’t take any financial risk. Try to maintain the same situations in your work. Remedy/Treatment: Worship Lord Sun and chant Aditya Hridaya Stotra. Also chant Maha-Mrityunjay Mantra regularly. This month is going to be tough for Virgo natives from business point of view. If you are doing business in partnership, chances of disputes are very high. Differences are also possible with life-partner, so talk carefully. You are advised to control your words and thoughts. A surgery is also possible if period (Dasha) of Rahu and Ketu is there. Overall, this week is indicating to move forward with cautiousness and restrain. Remedy/Treatment: If problems are there in married life, go for pacification of Rahu. If Manglik Dosha is there in your birth-chart, go for the ritual of Maa Katyayani. Debts, diseases and enemies will come to an end. If any old debt is going on, it will finish this time. This week is not going to be good for your enemies. Those who are associated with social works in any manner will have a great time this week. The best way to get success this week is to control your impulse and words. Time will be good for examinees. Couples who are trying for a child, time is not appropriate for them, they have to stay patient. Those who are in job may have to face some problems from their colleagues. Remedy/Treatment: Chant Surya Gayatri for getting success in competitive exams. Avoid red color. This and the upcoming time is not auspicious for pregnant ladies, stay very cautious if Dasha (period) is also not in favor. This week will give very good results to competitors of competitive exams, especially examinees of archeology, history, social issues and foreign languages will get special results. Those who are in job are likely to get benefits from promotion or change of job location. Health is not looking good, so take care. Avoid useless tension and stay happy. Remedy/ Treatment: Worshiping Saturn and Lord Shiva will keep you away from many problems. Help leprosy patients as per your abilities. Happiness will increase in domestic and personal life. You will get a chance of spending time with family members. If you are thinking of buying a new home or vehicle, time is very appropriate for that. Social workers and politicians are likely to get some great benefits. This week is going to be great for lovebirds, married couples will also enjoy a good time. A good news will come in family and journeys will remain favorable. Despite all this favoritism, health problems will remain, especially problems of obesity, diabetes, and liver. Remedy/ Treatment: Avoid sweets and take care of your diet. Go for pacification of Jupiter or chant Jupiter’s Beej Mantra. This week seems to be full of turbulence for Capricorn natives. Disputes are possible with siblings or some sort of suffering is also possible to them. Your luck may create troubles for you, so rely on your hard work completely. Don’t take any decisions related to your financial, domestic or social life in a hurry. Good thing about this week is that your intelligence will support you, you will be able to turn opposite situations in favor. Courage and confidence will remain average. Remedy/ Treatment: Worship Lord Ganesh for improving luck. Make donations for Rahu and avoid addiction. Time is not appropriate for married couples, stress is possible either due to ill health of partner or due to his/her behaviour. This week is going to be good for financial matters, along with minor problems. Control your speech, as some new and beneficial opportunities may come your way. Maintain good relationship with elders and senior officials, also make sure not to give them any kind of suffering. Diseases, problems and secret attack of enemies are waiting for you, so stay cautious. Remedy/ Treatment: Place yellow mustard in your home after worshiping it in Lord Bhairav temple. Stay cautious from enemies and regarding health. Pisceans are required to stay aware from themselves, as they will be full of energy. You are advised to control yourself. Money will come in a good amount and luck will also support, but you have to take care to take full advantage of this energetic week. Time is with you in matters of love affair and married life. But, if Dasha (period) of Rahu and Mars is there and if they are not auspicious in your birth chart, threat of separation is also there. Overall, time is favorable, but stay restrained. Remedy/ Treatment: Patience is the key of success for this week. Don’t be in a hurry in business. Worship Lord Vishnu. It would be good if you can chant Vishnu Sahasranaam for at least a day in week.